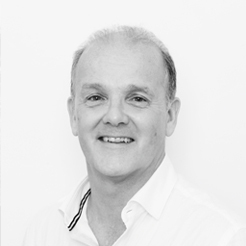 Alan has a background in finance, IT and organizational development and a qualification in corporate governance and learning and development, so brings a broad business view to Conversant. He is passionate about helping individuals and groups be productive. He believes in creating a safe environment for people and encouraging them to open up to new possibilities to improve engagement and reduce stress. Alan believes that helping employees to reskill quickly in a world that is changing ever more rapidly is a big challenge for companies seeking to increase agility. He sees this as a challenge as much about encouraging people to have the right conversations at the right time as transforming mindsets about learning agility. When he is not working, you will find Alan mainly outdoors playing golf, cycling, trekking and occasionally running. He also enjoys yoga, is a keen photographer and an armchair rugby fan!